Our online survey has already given quite a few gin brands food for thought. Why don’t you ask us how your brand fares? We’ve been quite busy lately at Anatomised conducting a survey of gin brands and how much or how little they use a number of aspects of online activity to help promote their products. The front-runners in this survey inevitably include some of the bigger brands. To date the top five in descending order are Plymouth Gin, Bombay Sapphire, Williams Chase, The Lakes Gin, and Eden Mill Gin. The smaller artisanal craft gins may feel that it’s not a level field. But that’s missing the point. The survey’s inclusion of distillers and gin brands of all shapes and sizes means we get a clear picture of what good performance looks like regardless of the resources available. And while the ranking of Plymouth Gin and Bombay Sapphire may not come as a particular surprise, given the resources of the organisations behind both brands, it’s equally true that there are some high-scoring smaller brands in the mix. 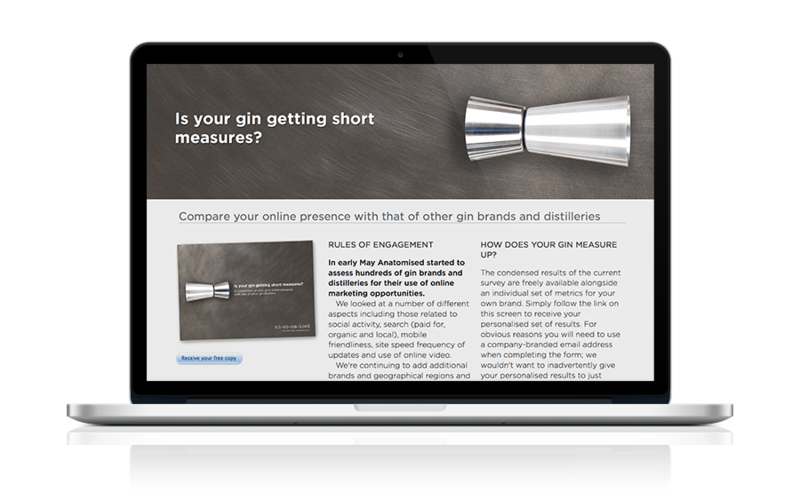 If you’re a gin brand owner and haven’t done so already, please request a copy of the survey summary report to see where you stand. You may be pleasantly surprised. At the very least you’ll get a sense of what needs improving. It’s astonishing how often research jumps to the wrong conclusion. Brexit is just one example.